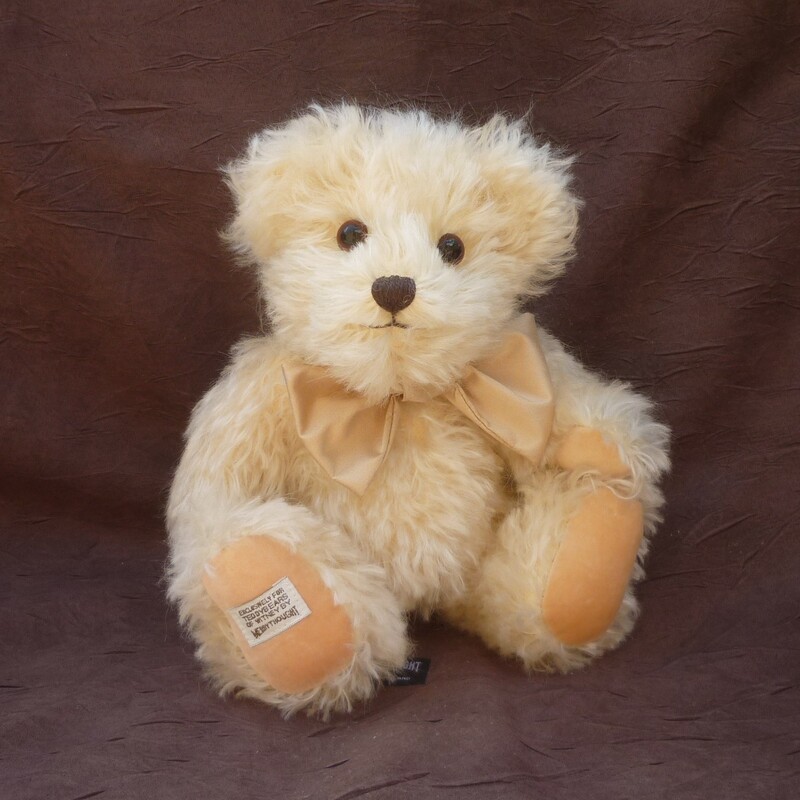 This friendly bear is made of long and luxurious, cream mohair with brown and black safety eyes and apricot velveteen paw pads. He wears a natural silk bow tie. 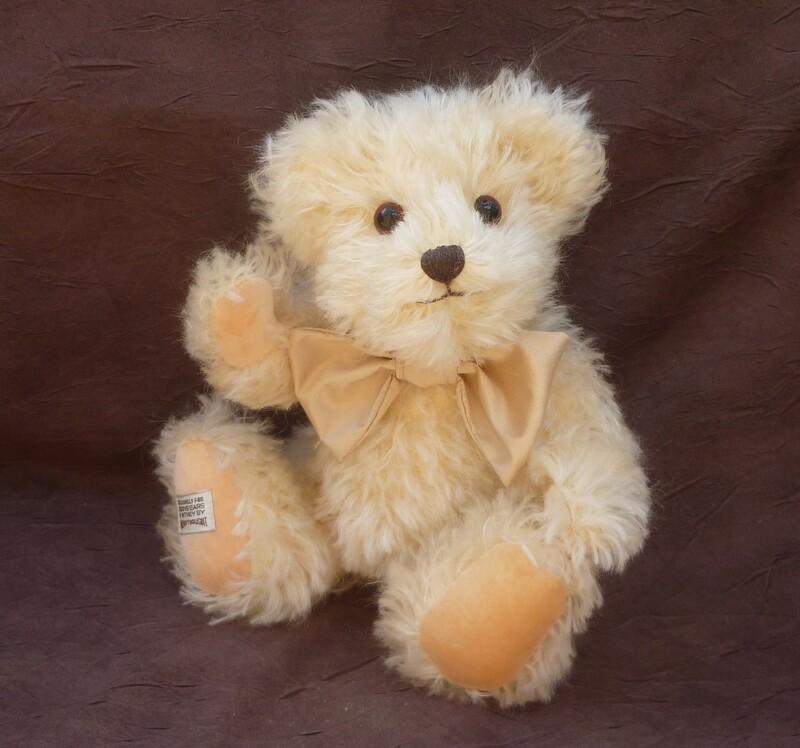 Filled with polyfibre with plastic beans in his tummy. 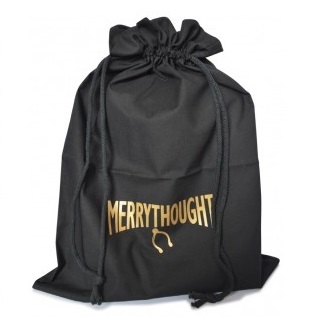 With Merrythought drawstring gift bag.